The Fed is going to hold a two-day FOMC meeting, on September 25th -26th. 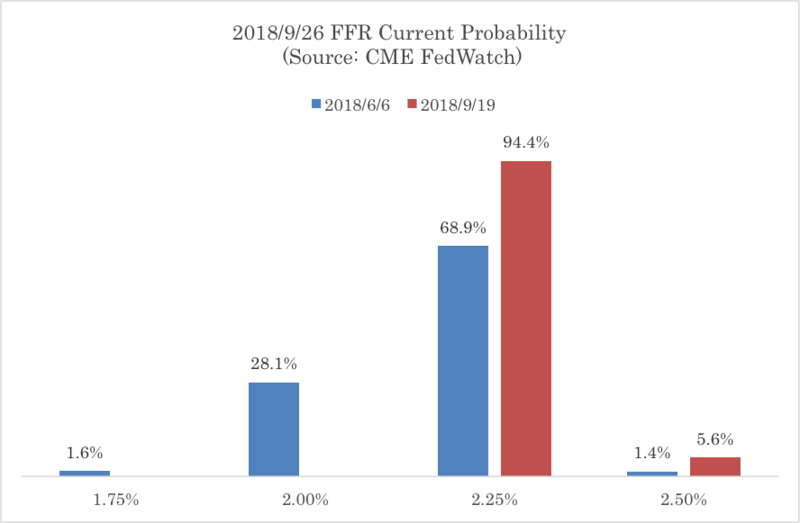 According to CME FedWatch, there is a 94.4% chance that interest rates will increase by 0.25%, which turns out to be 2.25%. Also, the market predicts another 0.25% of interest rate hike on December 19th. So far, we predict the Fed will raise rates four times in 2018, to keep the federal funds target at 2.5% finally. 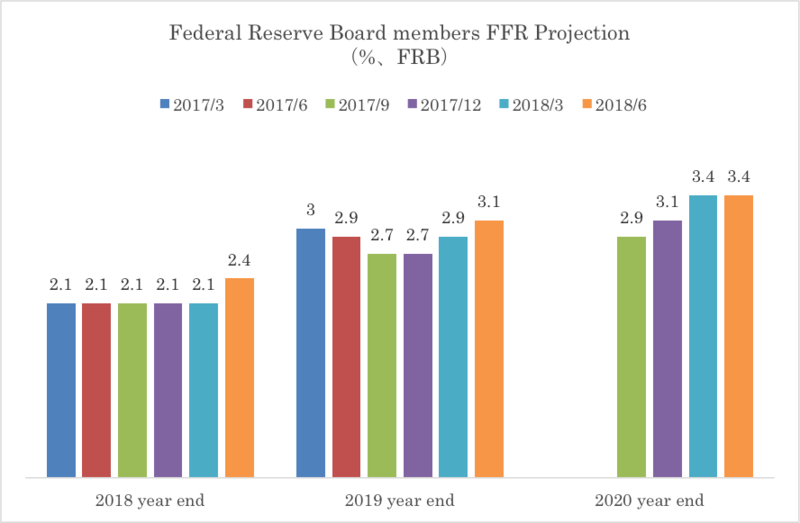 After the coming FOMC meeting, Federal Reserve Board members and Federal Reserve Bank presidents will release economic projections materials under their individual assessments of projected appropriate monetary policy (the so-called ‘Dot Plot’). 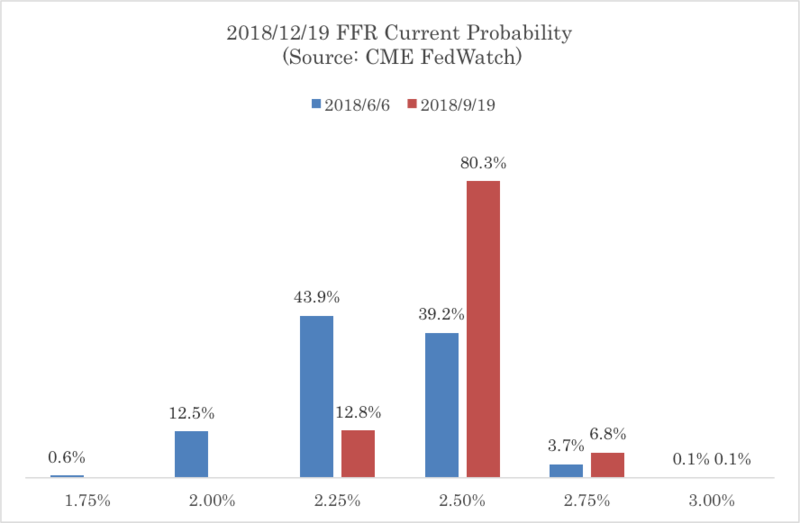 It showed 2.4% for the Fed funds rate (FFR) in the last projection report in 2018 with the FOMC minutes. This is very near to the real rate of 2.5% currently. 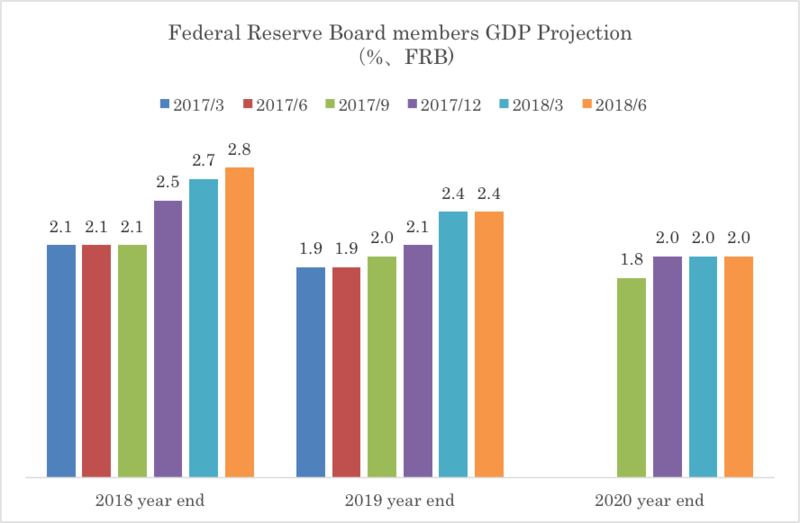 Besides FFR, Federal Reserve Board members also released the GDP predictions and it showed 2.8% of GDP growth for 2018. 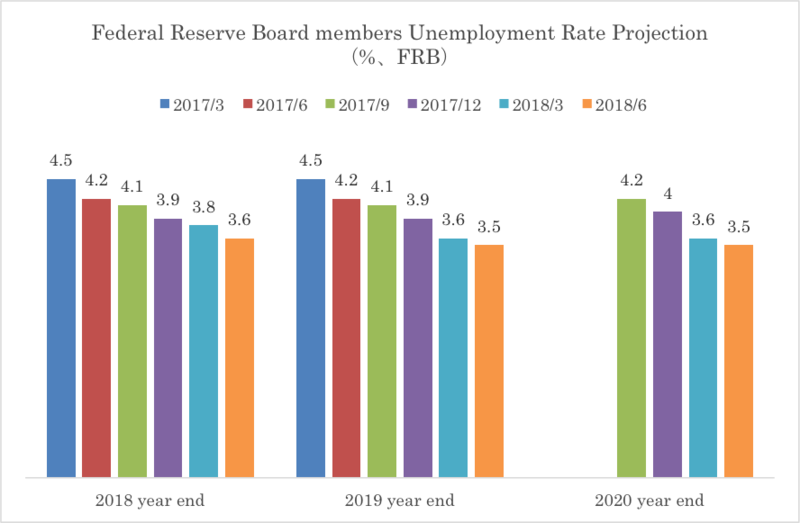 Federal Reserve Board members also released the unemployment rate predictions of 3.6% by the end of this year, which is almost to full employment. There is another important data released in the report, the Core PCE inflation. PCE stands for personal consumption expenditures. The core number is calculated without violent fluctuation prices, such as gasolin price. This Core PCE Inflation is often used by FRB to measure inflation target in US. 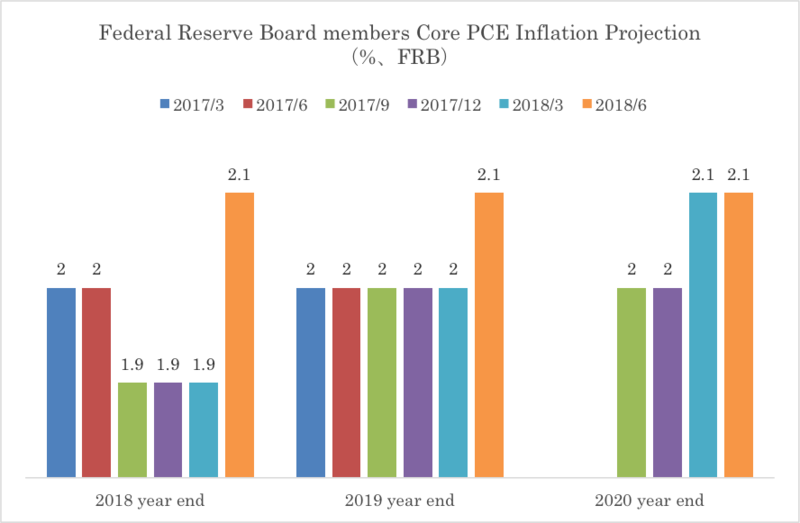 FRB aims to keep long-term inflation rate around 2%, so we can see currently the core PCE inflation is almost at the same level as FRB assumption. The Federal Reserve System (also known as the Federal Reserve or simply the Fed) is the central banking system of the United States of America. The Federal Reserve System considers itself "an independent central bank”, because its monetary policy decisions do not have to be approved by the President or anyone else in the executive or legislative branches of government. It does not receive funding appropriated by the Congress, and the terms of the members of the board of governors span multiple presidential and congressional terms. For years presidents have avoided commenting on the Fed, which markets broadly trust to act in service of its dual objective - maintaining maximum employment and stable prices - rather than political aims. Some Presidents tried to pressure the Fed chairman to lower the FFR, including President Trump. President Trump broke with decades of traditional White House silence on Federal Reserve decisions, criticizing the nation’s independent central bank for raising interest rates and suggesting the strong dollar was hurting the U.S. economy. Federal Reserve chairman Jerome Powell is pushing back against President Trump's recent criticism and we will pay attention to how Powell will appeal to investors that the Fed is an independent institution in the press conference scheduled after the FOMC. 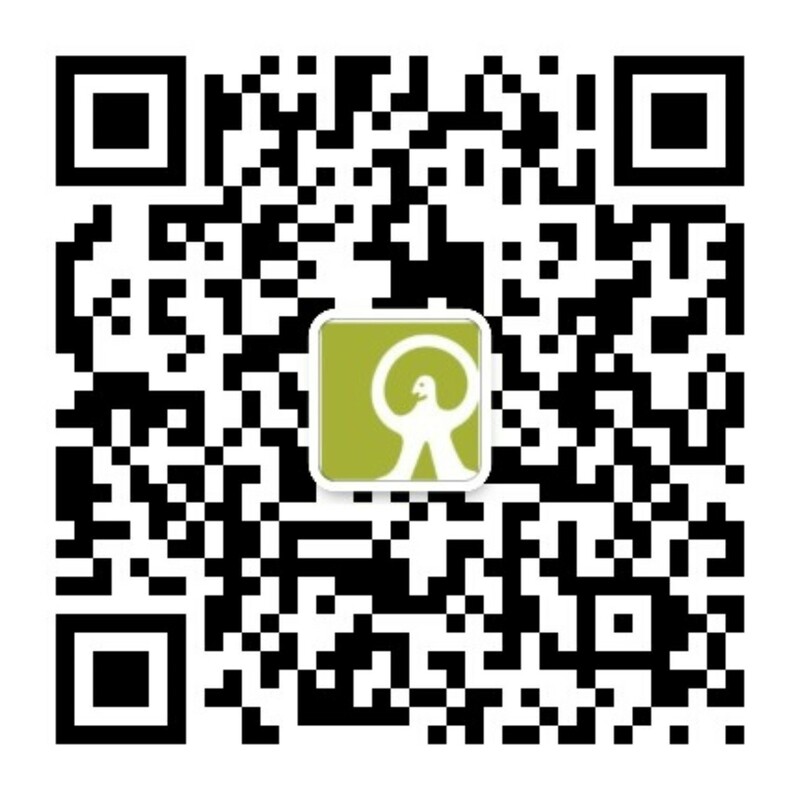 This report was contributed by Takao Hirose, Contextual Investments, LLC., published on 21/09/2018.